When an architect stands in a theatre’s newly refurbished foyer – champagne chilling and expectant press waiting – and announces that “there’s not a bad seat in the house”, it’s easy to dismiss it as hyperbole. Yet, following York Theatre Royal’s £6 million refurbishment, it’s true, even if the venue had to lose 100 seats to do it. At the back of the balcony, you can still see almost the whole stage. It’s impressive. In fact, the whole building is impressive, from its medieval origins to the more recent additions. There has been a theatre on this site since 1744, and, during the refurbishment process, the team uncovered more of St Leonard’s Hospital, the medieval hospital upon whose foundations the theatre was built. The building has been augmented and tweaked over the centuries, and in 1967 architect Patrick Gwynne (who also created the Serpentine Restaurant in London’s Hyde Park) designed a poured concrete extension to the building. Throughout the renovation, a team from York Archaeological Trust worked with the architects and builders to record and preserve the building’s historic features. Ben Reeves, field officer for the trust, says: “The most amazing thing we found is a gateway at the back of the stage. When we first got here, we were under the impression that it was medieval, which puzzled me because it’s not in any of the records of the original theatre. “There were things that weren’t quite right to my eye – and I’m not an expert – so we brought an expert in. He said that it was basically a folly, that the stonework was all wrong, that the arrow loops were facing the wrong way, there’s a medieval string course, but it’s upside-down… it’s kind of mock-medieval, it’s theatrical – like when you build a stage set, but built out of real stone. For architect De Matos Ryan, these medieval artefacts had to be incorporated into its plans. A nice touch is that the terrazzo flooring front of house is patterned to represent where, in medieval times, corridors and pillars would have been. Director in charge Angus Morrogh-Ryan told me that the uniqueness of this theatre was one of the reasons the firm wanted the job. De Matos Ryan is not a specialist theatre firm, although it has refurbished other theatres, most notably the foyer of Sadler’s Wells, and Morrogh-Ryan sees this as a positive. “Architects, in order to be good architects, need to listen and interpret carefully,” he says. 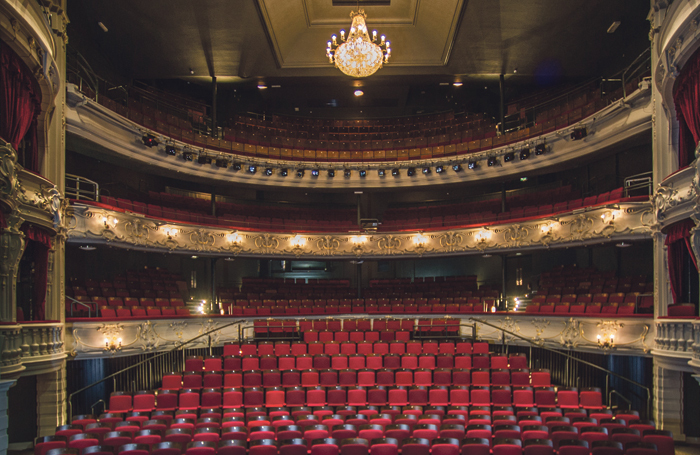 “If you’re consistently a theatre architect, you might fall into the trap of rolling out a kind of template, and the circumstances of every site and client are very different. What we said is that we know about spaces, about quality of finish, about how to make space work. The refurbishment has improved access and added additional toilets. It also glassed in what was an outdoor Victorian colonnade, providing more seating and cafe space. “People use this as their sitting room in the city,” says Morrogh-Ryan, and encouraging this behaviour was a core part of their plans. 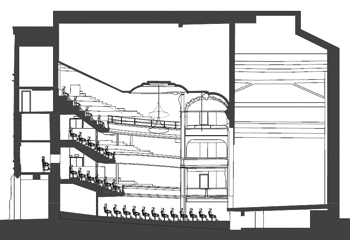 One of the bigger jobs of this refurbishment was to reconfigure the auditorium’s seating; the stalls have been re-raked and shifted up to reach the front of the circle, and the theatre now has an orchestra pit. 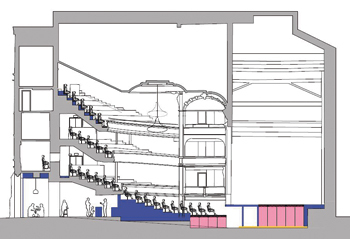 The stalls have 103 fewer seats, but by shifting them upwards, the sight lines are better. This rejigging is intelligently done, and has also opened up additional front-of-house space under the circle, which previously only housed broom cupboards. This stage had previously been something of a problem for the theatre: companies often put YTR at the end of a tour because the limitations of its steeply raked stage meant that scenery and blocking had to be adapted. Following the refurbishment, the theatre boasts a flat, modular stage, suitable even for dance. 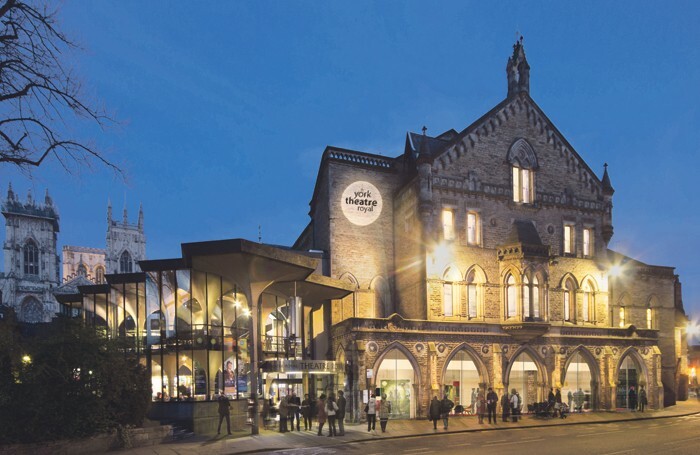 With a new roof, increased and improved front-of-house space, and a more flexible auditorium and stage, YTR, which vies with Bristol Old Vic for the accolade of being the country’s oldest working theatre building, looks fit for purpose for many years to come. 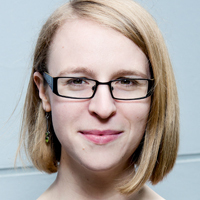 The Green Room: Who should be recognised at award ceremonies?